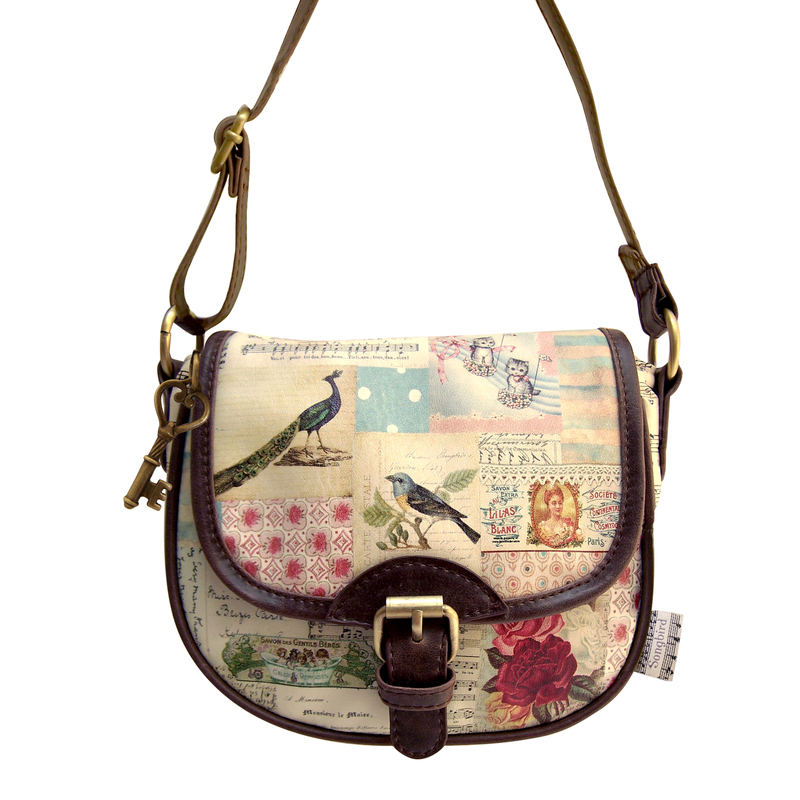 I’m so excited that the latest bags I designed for Disaster Designs have just arrived as I love them! 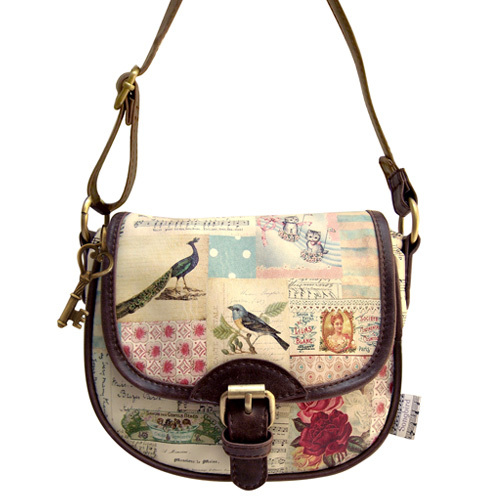 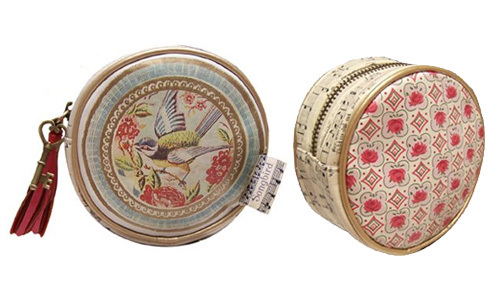 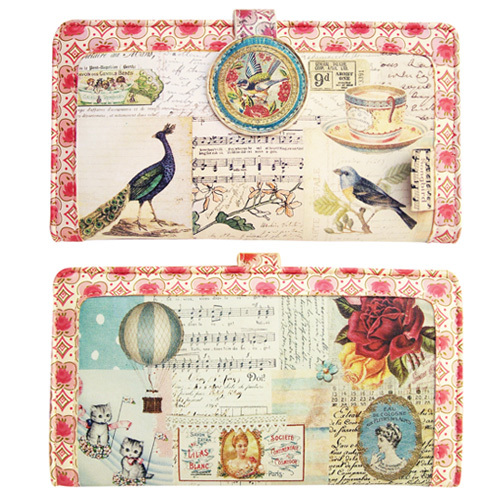 The range is called Songbird and is based around a scrapbook style pattern of whimsical vintage imagery, music notes and quirkiness. 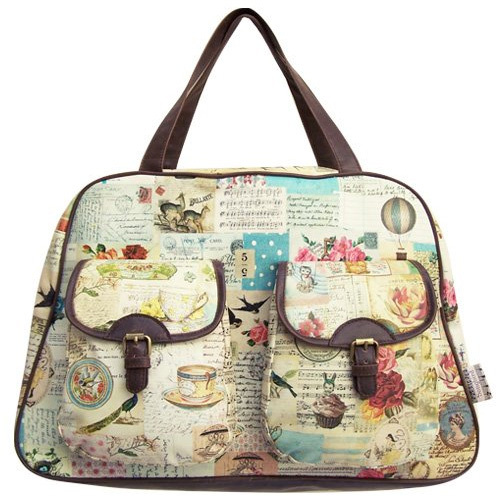 My personal favourite part of the pattern are the two cute kittens flying on a flowery cloud as well as a the cupcake girl with bunny ears – they are so sweet and funny! 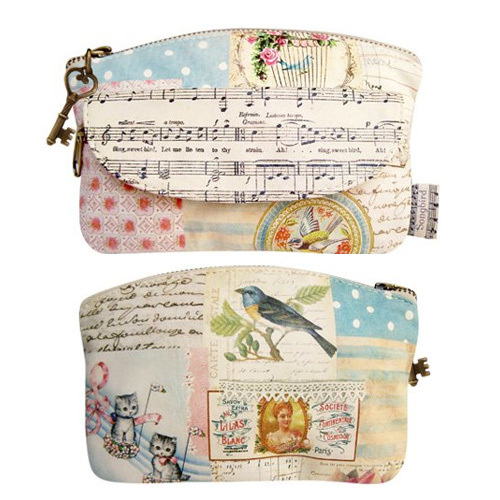 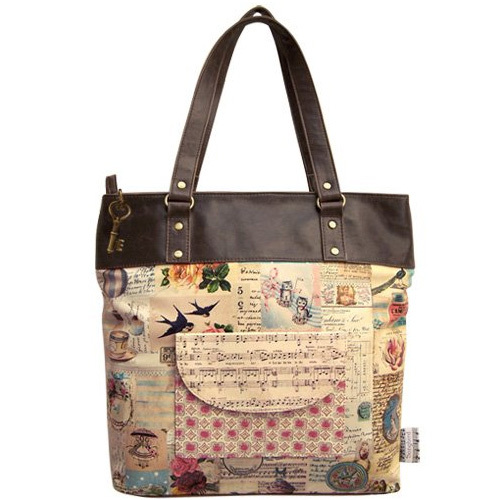 The range consists of a wallet, purse, make-up bag and four different bag shapes which are all zipped closed with an ornate key charm and lined with a beautiful music sheet pattern. 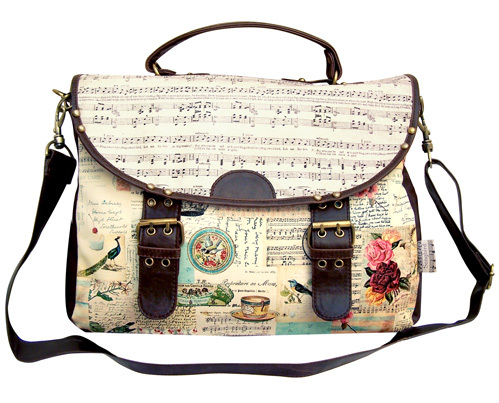 I hope you love everything as much as I do!